The Evo II expands upon the design philosophy of the original Anniversary range. The extreme concave outline & reduced number of spokes bring lean sporting look, soft organic lines flow into beautifully defined edges reinforcing the design language of this unique high-tech wheel. 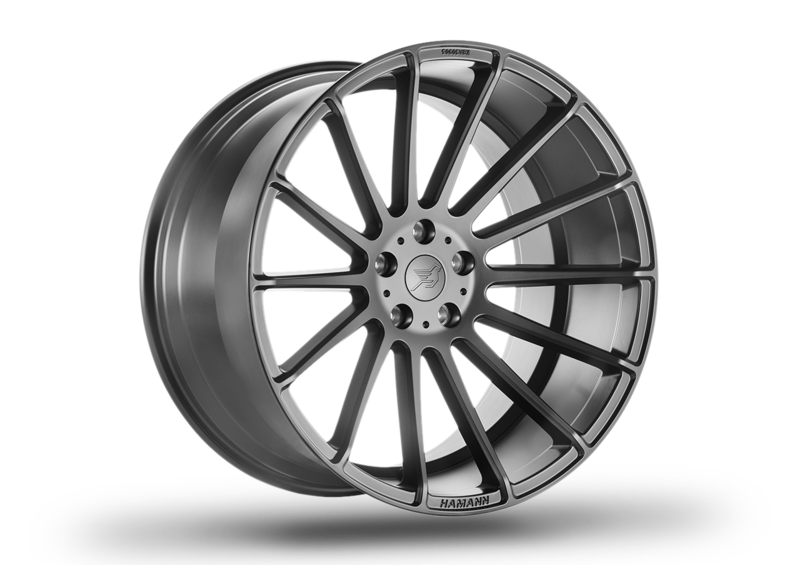 The ultra-lightweight monoblock construction has a total of 14 spokes, each wheel is primed with a powder coating process and completed with three layers of Graphite Grey paint. The hub covers are made of milled aluminium with Hamann logo engraved adding the finishing touch. If desired, the powder coating can be provided in a special order colour that matches the vehicle design. The Anniversary Evo II is cast from high-strength aluminium alloy, are TÜV certified and are delivered with a General Operating Permit for many popular car models.